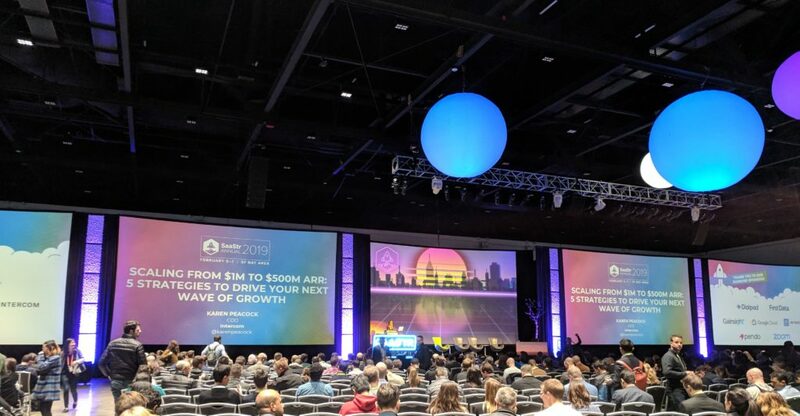 There were several themes that emerged from the sessions at SaaStr Annual 2019. The conference typically is a great venue for software platforms and ISVs to network, conduct business and celebrate what is now a $650B industry, according to Bessemer Venture Partners. In our discussions and at the sessions we attended, one of the themes this year that stood out was around growth and scale. People were keen to talk about what happens after a company has achieved initial success. Not just getting past the startup phase and finding product-market fit, but what happens after you’ve had some initial sales success. Another big tip from her was about finding your next big product. “It is probably right in front of you. What other important problems do your customers have and which could you solve well? You can see what we at WePay think about our team and our people by watching the video on our careers page.